ADVANCED TECHNOLOGY: This girls’ winter jacket features our signature Omni-Heat Reflective Thermal Reflective Warmth that reflects body heat and our Omni-Tech waterproof and breathable fabric. 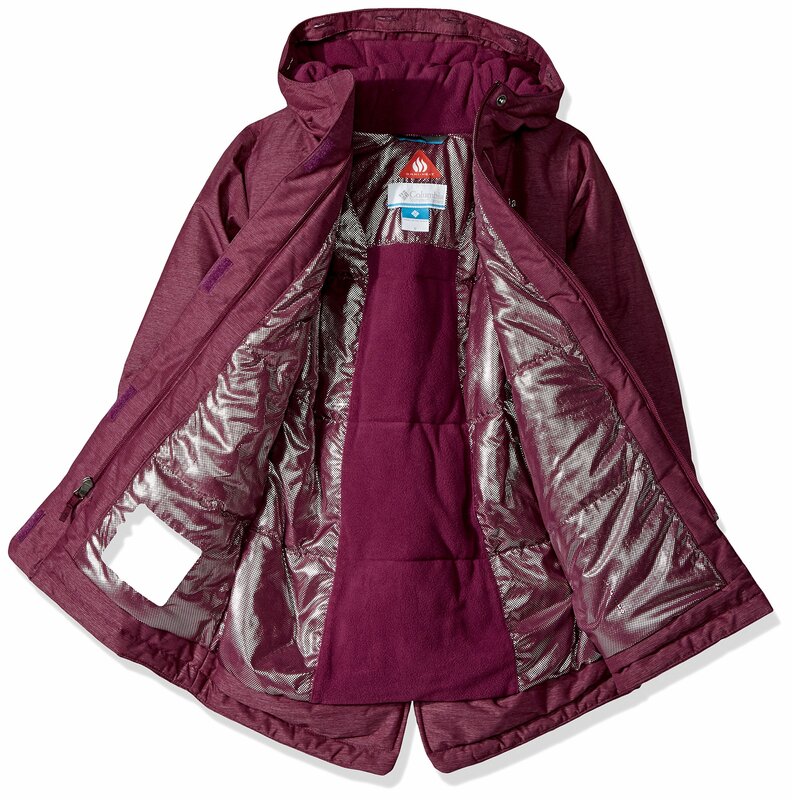 HANDY FEATURES: This girls’ waterproof winter jacket features two front pockets, a media pocket for added security, a reflective detail, and a microfleece-lined hood. 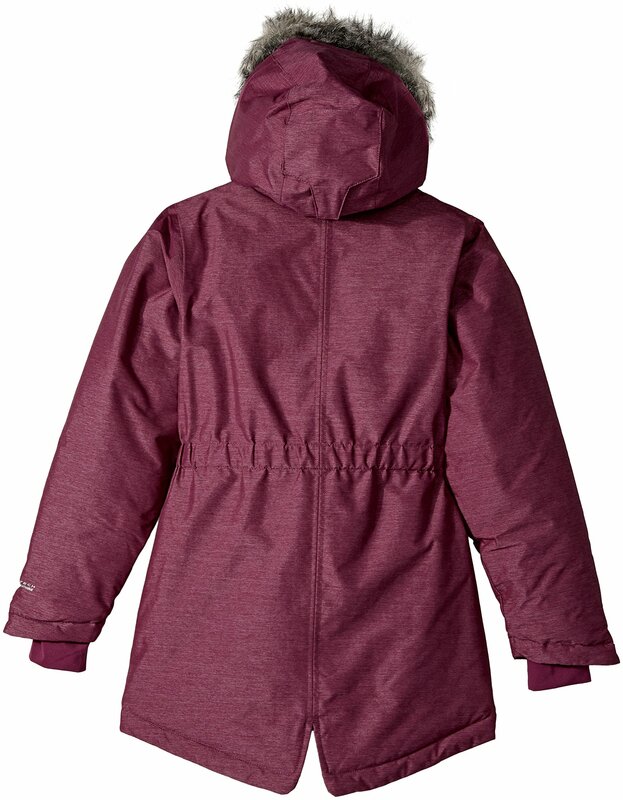 ADJUSTABLE FEATURES: This girls’ winter waterproof jacket features an attached adjustable storm hood, elastic waist, comfort cuffs, removable faux fur, and a drop tail. Keeping your children protected from cold temperatures and dry during wet weather is something all parents believe is imperative. To ensure your girls are protected from the elements, Columbia has professionally engineered this revolutionary winter coat. This girls’ winter waterproof jacket is a breathable coat with big city flair. The Columbia Girls’ Nordic Strider Jacket features our signature Omni-Heat Reflective Thermal Warmth technology that reflects body heat along with waterproof and breathable fabric. This girls’ winter jacket is designed to grow with your children. It features Columbia’s unique OUTGROWN growth system, making it easy for the jacket to adjust to your young lady’s growth spurts, which extends the life of the jacket. The Columbia girls’ winter jacket is waterproof and features an attached adjustable storm hood, an elastic waist, removable faux fur, comfort cuffs, and a drop tail. The Columbia Girls Nordic Strider Jacket features two front pockets, a media pocket for added security, reflective detail, and a microfleece-lined hood. This jacket is made from superior materials. The Omni-Heat thermal reflective shell is made from 72% nylon and 28% polyester Legacy dobby. The lining is made from 100% Omni-Heat Reflective Microtex with insulation made from 100% polyester 150g Microtemp material. 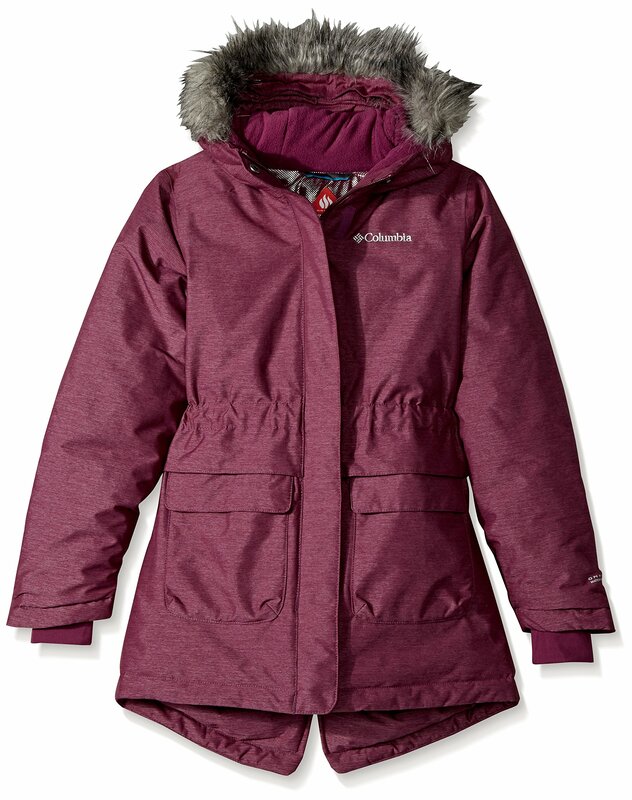 Columbia offers this Girls’ Nordic Strider Jacket is multiple sizes and colors for infants, toddlers, and girls. To ensure the right fit, please refer to the size chart posted below. FIT: This youth jacket features our OUTGROWN grow system that makes it easy for this jacket to adjust to her growth spurts to extend the life of the jacket. This girls’ winter waterproof jacket is a breathable coat with a big city flair.